When Northern Ballet in the UK began performing its new production of The Great Gatsby a few years ago, Aurélien Scannella, Artistic Director of West Australian Ballet, quickly heard about it from friends. “I had a few close friends of mine who are ballet teachers or ballet masters who saw the work overseas and said to me, ‘we just saw a terrific production and we think it would work for Perth’,” recalls Scannella. He didn’t take much convincing. 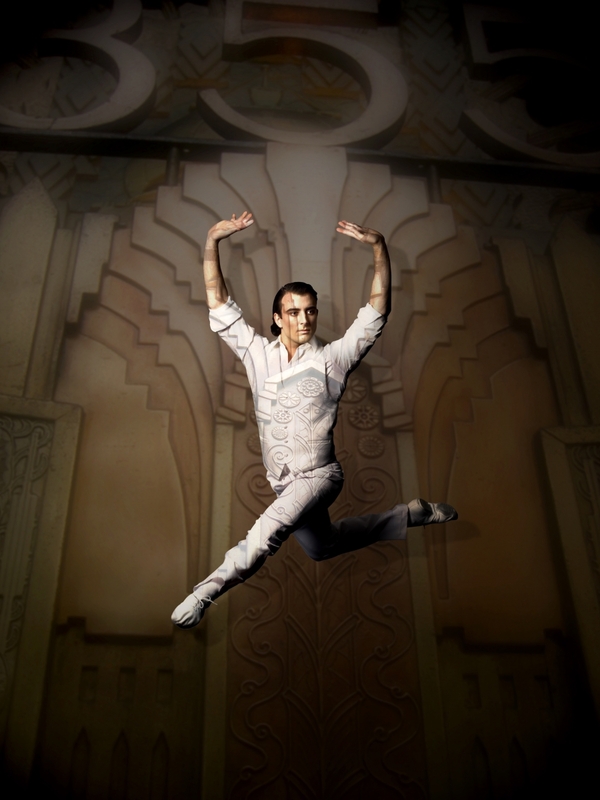 The Great Gatsby was created by Canadian choreographer David Nixon, who is Artistic Director of Northern Ballet. Scannella was already a fan of his work. In fact, in 2016, WA Ballet performed his production of Beauty and the Beast. “We had David Nixon here for Beauty and the Beast last year and so we talked about [The Great Gatsby], and after seeing it on video, and all of the feedback I got, I thought it’s something that would suit us,” says Scannella. The Great Gatsby has a Perth season next month. Nixon spent two weeks working with the Company in June, and returns to Australia for four week’s rehearsal prior to the opening. “He already knew the Company from last year so he was happy to come back and is very relaxed with the dancers,” says Scannella. Nixon’s production of The Great Gatsby premiered in 2013 – the same year that Baz Luhrmann’s film of F Scott Fitzgerald’s classic jazz-age novel was released, starring Leonardo DiCaprio, Tobey Maguire and Carey Mulligan. Written in 1925, The Great Gatsby is set on Long Island in New York State during the heady, decadent days of the Roaring Twenties. A tale of lost love, infidelity, broken dreams, excess and corruption, it has been described as a cautionary tale about the American Dream. The story centres on the mysterious, vastly wealthy Jay Gatsby and his obsessive love for Daisy, a former debutante now married to the cheating Tom Buchanan. It is told through the eyes of Nick Carraway, Daisy’s cousin, who rents a small house next door to Gatsby’s mansion, where the millionaire holds lavish parties, which all of society want to attend – though he himself shows little interest in them. In depicting the reunion of Jay and Daisy, Nixon uses dreamlike flashbacks in which Gatsby remembers their wartime love affair. Nixon also includes intimations of the mobster violence that has brought Jay his fortune. “David is a fantastic storyteller. It’s not easy to tell a story with ballet steps and sometimes you go and watch a show and you don’t understand anything. But David has a real talent for that, and The Great Gatsby is a perfect example. Whether you have read the book or saw the movie, it goes through the story step by step, and you really understand it,” says Scannella. The ballet is performed to a collage of jazzy music by the late Sir Richard Rodney Bennett, an Academy Award-nominated composer, whose film scores included Four Weddings and a Funeral, Nicholas and Alexandra, and Murder on the Orient Express. In Perth, the score will be played by the West Australian Symphony Orchestra. The staging features fast-moving screens and curtains (designed by Jérôme Kaplan) and gorgeous 1920s costumes (designed by Nixon). “If you look at the whole package, the whole production – the set, the costumes, the lighting, the choreography, of course, and the very special story – it works. It’s a beautiful show [with] very nice music. You will really get the feeling of the 1920s where people are just enjoying life after the First World War,” says Scannella. Perth ballet audiences particularly like story ballets, especially the most beloved, traditional ones – which can make it hard to attract people to less familiar fare. The Great Gatsby plays at His Majesty’s Theatre, Perth, September 14 – 30. ABC’s Fran Kelly gets it warts and all from the director of The Great Gatsby.